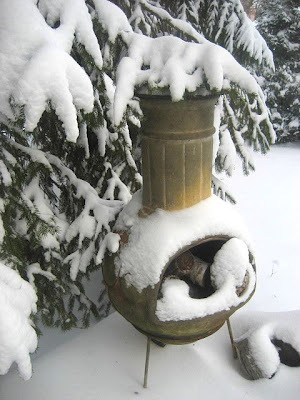 We actually will have a white Christmas this year on the east coast, we've had a ton of snow this past week. 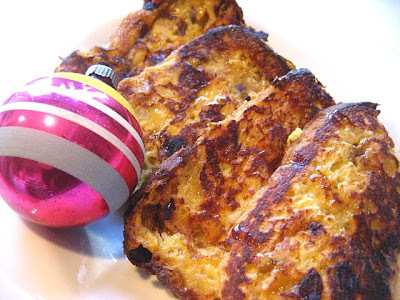 Here are 2 fantastic recipes for Christmas morning. They are the two most popular and looked at on Stacey Snacks. First, I want to say that when I posted the bacon and egg baskets last year, I received SO MANY emails and nice comments.......but I did receive some negative comments and nasty remarks on other sites saying "this is so unhealthy", "cholesterol killer", "artery clogger!!! ", "this is disgusting". Ok, before I post this again, and the hate mail comes in: I just want to say that this is a slice of lean bacon and ONE EGG. Nothing more. No butter, no cheese, nothing. It's not going to kill you. It just adds a little style to the usual bacon and eggs, and you can make it for a crowd for brunch. Spray nonstick cooking spray in a 12 cup muffin tin. Cook as many slices of bacon as needed, but only cook them half way. Do not cook them crispy, only enough to get rid of some of the fat. Drain bacon slices on paper towels. 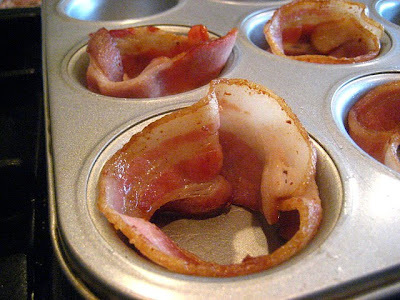 When cool enough to handle, wrap a piece of bacon into a nest shape in each muffin well. Next, crack a MEDIUM sized egg (don't use JUMBO or they will spill over) into each bacon basket. Sprinkle with salt and pepper (I used Hawaiian red salt) and bake in a 375F oven for 10 minutes for runny eggs, or 12 minutes for set eggs. You can also beat the eggs first then pour into the basket for a firmer quiche like presentation. This second recipe is not a low fat one, but who cares? New Year's resolutions begin next week. It's a bread pudding made with that fantastic Italian panettone. I well remember both of these recipes and they are two of my favorites. I can think of a million ways to make breakfast more fattening than the bacon and eggs, that's for sure. I always enjoy your recipes. 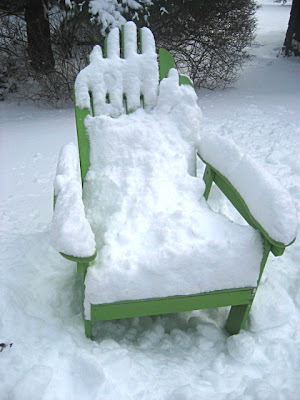 You have had a lot of snow. It sure looks pretty when it is falling and fresh. Happy holidays Stacey to you and your family and I hope you have a great new year. Why do people have to be so nasty over a simple piece of bacon and an egg? Life is to short to be negative over such trivialities. Save them for the really bad things, like war and disease. Good vibes are coming to you from this woman who is planning to go get some bacon asap. I make that panettone bread pudding too with the leftovers from Christmas. A very Merry Christmas and hugs to you and Henry. My bacon, egg and toastcups got the same reaction. Either people love them or they thought I was trying to kill them slowly. What is wrong with people? If you don't like it, don't eat it! As for me, this is breakfast tomorrow. Craig adores bacon, and I remember when you posted this last year. Thanks for reminding me. Live a little is right! 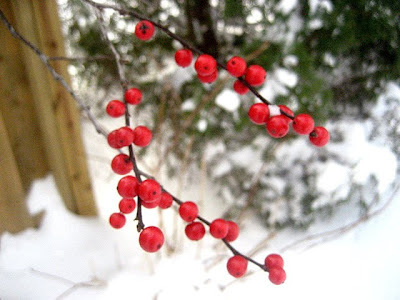 Beautiful snow pictures-- just how I enjoy it. Look at it, but not having to live in it. Brrrr. Merry Christmas Stacey and Henry! I have my pannetone ready for tomarrow morning, who cares about the calories! Wow! Those bacon and eggs look very yummy, I'll have to try it. I'm sure my family will be jazzed! Just popping in to wish you a Merry Christmas and a happy holiday! What lovely photos. I love the last two the most. The breakfast looks fantastic as well. 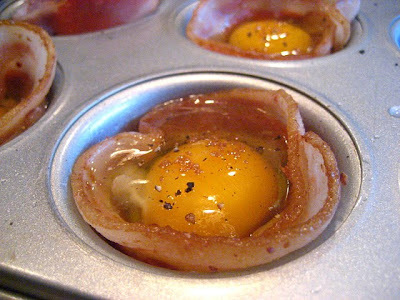 Baked eggs in bacon cups - no hate email coming from me. What a great idea! Merry Christmas! How nice that you guys got some snow! We are very happy to have none this year, last year almost did this city in. I hope you guys can enjoy it and the holiday. This egg dish is lovely and I love the presentation. Happy holidays Stacey! Oh yeah that was some blizzard! Sorry you couldn't make it to Susan's party, and that Monday did not work out for us, we will plan better next time for sure! Regarding cholesterol, I think that those who are watching it on a doctor's recommendation do not begrudge others whose cholesterol is fine. Those negative comments are odd to me. Love the B&E baskets and the panettone and especially the snow. It was the first snowball fight I've had in decades. It's a Merry Christmas and what is better than making an eazy-sneezy breakfast. An egg and a piece of bacon...I'm going to try it and impress my husband...cuz he would eat bacon every day if I'd let him. Don't you feel bad for people who are so uptight they can't enjoy even one piece of bacon now and again? Sheesh. Hey - this time of year its all about celebrating! 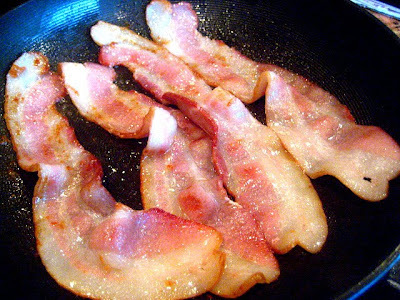 Here's to our collective good health and bacon! Youve got to be kidding, one piece of bacon and one egg, and people have something to say.. Idiots. Dont eople have anything better to do? Love this idea.. will be using it soon. Really? And I thought I was the only one who got hate mail! LOL The bacon and eggs look great! I don't know about you but if I had breakfast at a diner I would probably have double that! I would certainly eat two eggs and a few pieces of bacon. So I can't understand how anyone could have a problem with that dish. Tell them to unsubscribe! Merry Xmas to you and H! 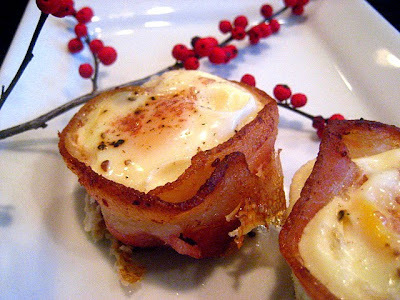 Love the bacon-egg baskets. First of all, nice blog! Thanks a lot for sharing - I am thoroughly enjoying it. You know what, I do believe that there can be some dumb people out there who might be dumb enough to think their arteries get clogged by just reading a recipe online! Do keep up the good work and ignore those dumb comments! And to the dumb people - I have the freedom to voice my opinion to Stacey too!